I’m pretty low maintenance when it comes to my hair care routine. On a good hair day, all I need is a spritz of volumizing mist and a little bit of hairspray, but when things start looking greasy and flat, I add dry shampoo to the mix to refresh my roots and add bounce to my locks. 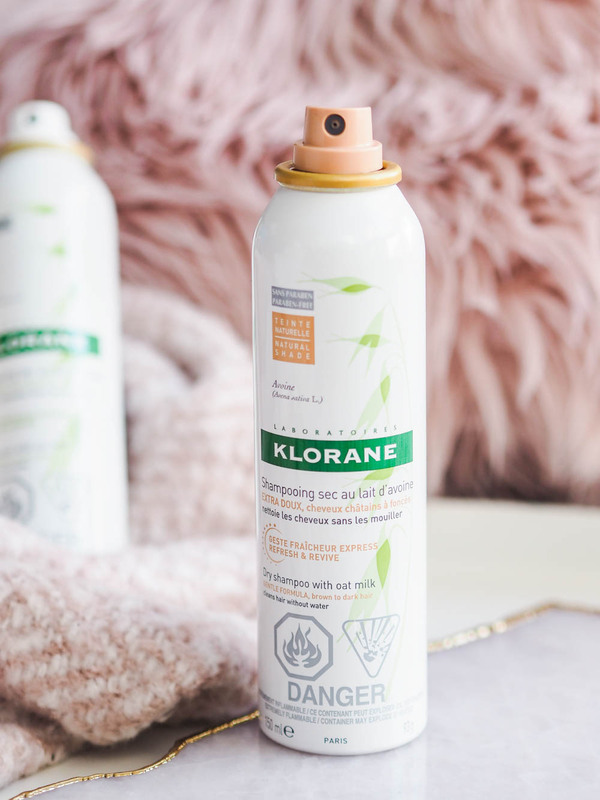 I’ve tried countless dry shampoo formulas from countless brands over the years, and the Klorane Dry Shampoo with Oat Milk* is the first product I’ve used that ticks all the boxes. Turns out, there’s more to dry shampoo than soaking up oil! Here are seven reasons to love this beauty essential, whether your hair is freshly washed or in need of a quick fix. I often tell myself that I’ll just “wash my hair in the morning”. As in, before work. Spoiler alert: that has literally never happened, because washing my hair is a two-hour-long ordeal. Thankfully, all it takes to fake clean hair is copious amounts of dry shampoo and a messy bun. Just section your hair, spray, let the product absorb, brush out, style, and go. The Klorane dry shampoo takes care of greasy roots in just two minutes — you won’t be late and no one has to know that you rolled out of bed five minutes before heading out the door. For instant oomph, dry shampoo is the easiest (and cheapest) way to go. A little spritz at the roots goes a long way in getting that fresh-from-a-blowout lift. 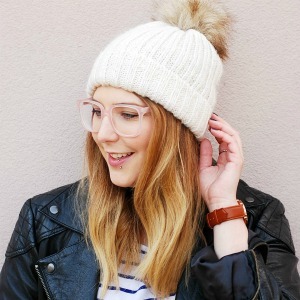 Squeaky clean hair is lovely and all, but it’s also impossible to style without a good texturizing spray. Klorane’s dry shampoo is not only great for oily hair, but it delivers serious texture too. Spray along the underside of your lengths and scrunch up your hair to unlock your freshly-washed hair’s styling potential. There’s nothing worse than having to wash out the most perfect curls you’ve ever had in your life or a beautifully intricate braid that took hours to create (with the help of 34 hairgrips and the moral support of a friend) just because the roots aren’t looking fresh anymore. Instead of spraying right along the parting, spray a little on your fingertips and dab the product in. Done! Whenever dry shampoo comes up in conversation, so does the dreaded powdery white cast some formulas leave behind. 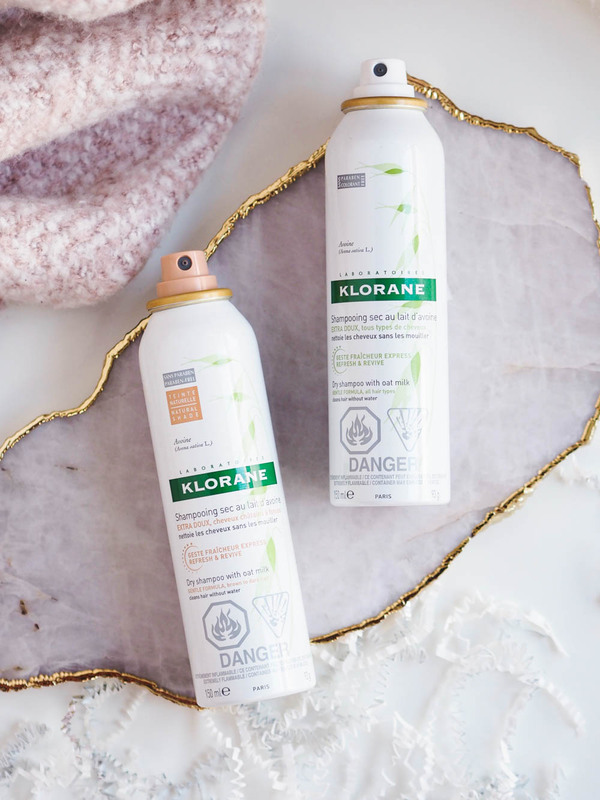 Not all dry shampoos are created equal, and the Klorane formula is one of the most invisible I’ve tried so far. The Klorane Dry Shampoo with Oat Milk comes in a regular formula, as well as a tinted formula for brown to dark hair. Though the white cast of the regular dry shampoo brushes out just fine on my medium brown hair (plus, I get to see what I would look like with a badass Caitlin Moran skunk-stripe dye job while it absorbs), I love how easy the tinted formula is to brush out. In a pinch, I can even use my fingertips to work it in until it the product vanishes. Some smells cling to clothing and hair in a way that lets everyone know where you’ve been and what you had for dinner last night. Faking clean hair is a lot easier with a dry shampoo that smells heavenly…and actually clean. 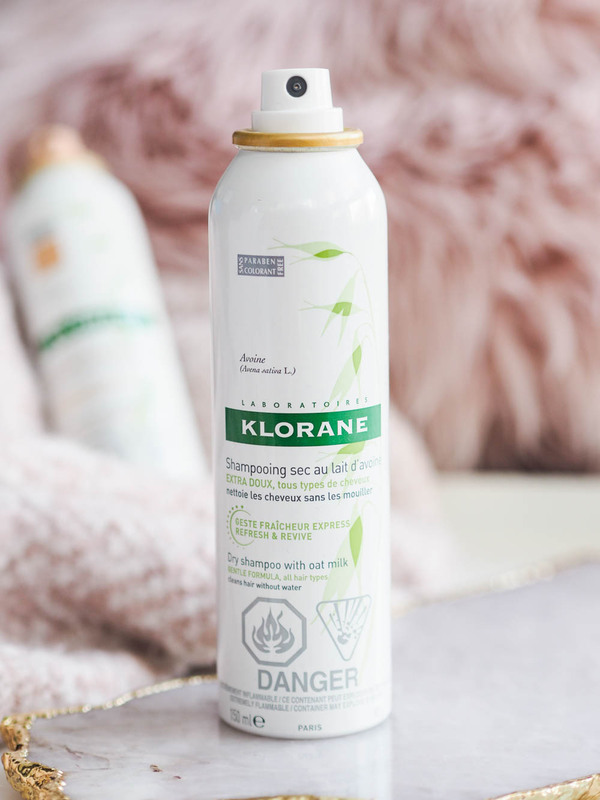 The Klorane dry shampoo scent is fresh and strong enough to cover unwanted smells, without the cheap Perfume Counter top notes you’ll find in other formulas. I wash my hair as rarely as possible, purely out of laziness. I’ve been on a twice-a-week schedule for years, though I can sometimes go an entire week without getting my hair wet with a lot of help from Klorane and a mid-week messy updo. The amazing thing about going so long between washes is that, eventually, your hair does get used to it. Dry shampoo is a great way to “train” your hair, without looking like a swamp monster. Klorane’s formula is thin enough that it won’t create an itchy build-up after one use — but keep in mind that using leave-in powder-based products too often isn’t great for your scalp.